The Office of Management and Budget sent a memo Friday night to the heads of shuttered departments and agencies after President Donald Trump signed a bill that temporarily reopens the federal government for three weeks. 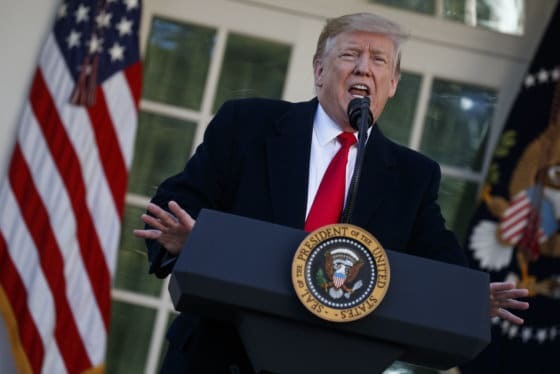 WASHINGTON — The Office of Management and Budget sent a memo Friday night to the heads of shuttered departments and agencies after President Donald Trump signed a bill that temporarily reopens the federal government for three weeks. Federal facilities were shuttered during the partial government shutdown, including D.C.’s famous Smithsonian museums and zoo. 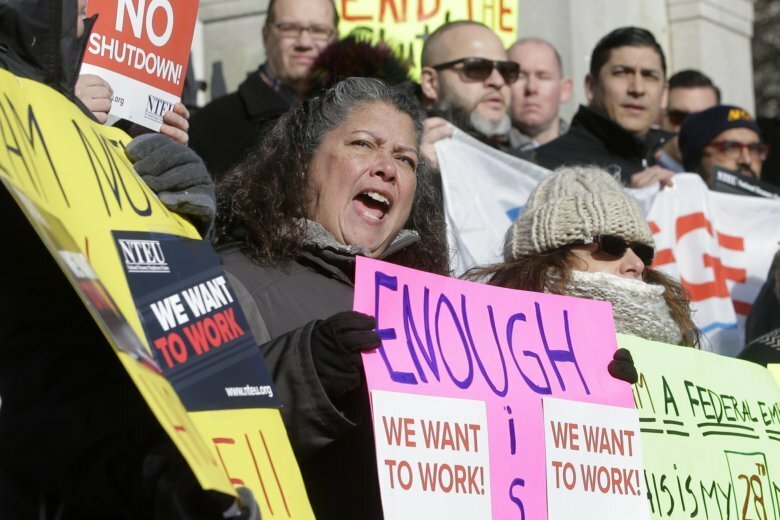 Federal workers were forced to stay home — or stay on the job without getting paid. During the 35-day shutdown, meal donation centers popped up offering free food for feds, and local jurisdictions offered free transportation services to federal employees affected by the shutdown. So, with the government reopening, how quickly will things return to normal? When do federal employees report back to work? Congress passed the short-term funding measure Friday, and Trump signed it Friday night. Then, the federal government’s budget office issued a notice formally authorizing employees to come back to work. “Federal employees should check with their agencies for specific instructions for returning to work. Generally, furloughed employees are expected to return to their duty stations and resume their normal work schedules. Employees who typically start their work week on Monday, for example, would be expected to return Jan. 28,” Federal News Network’s Nicole Ogryskso reported. The Office of Personnel Management will notify employees through its website about when they should return back to work. When can feds expect to see back pay? Back pay for federal workers — those who worked through the shutdown and those who were furloughed — will come one lump sum as soon as the government reopens. That means federal employees won’t have to wait until their next regularly scheduled paycheck — which could be weeks away — to get paid. That’s all part of the Government Employee Fair Treatment Act that was signed into law last week. In the memo issued Friday, federal officials said agencies should be “prepared to prioritize restoring pay and benefits for employees” as one of their first orders of business once government reopens. The National Active and Retired Federal Employees Association, a group that advocates for federal employees, said feds should expect to receive back pay no later than the end of next week. The National Finance Center advised that it expects to pay staff no later than Thursday, Jan. 31. Federal contractors, however, face a much more uncertain future. While there are bills in both houses of Congress to make sure contractors get back pay, it’s unclear whether any of those bills will go anywhere. After the president’s announcement Friday, Metro scrapped a plan that would have provided free Metro rides for federal workers impacted by the government shutdown starting Monday. Metro Board canceled a meeting that had been scheduled for Friday afternoon to approve the free-ride plan. In Maryland, however, a plan announced by Gov. Larry Hogan last week offering free rides on services operated by the state will run through the end of the day Feb. 1. Federal employees who show their government IDs can ride transit services operated by Maryland including the MARC train, commuters buses and the Baltimore subway. One of the most powerful images of the shutdown was the scene of hundreds of sidelined federal employees lining up on Pennsylvania Avenue for free meals at Jose Andres’ World Central Kitchen. The charity has handed out thousands of meals since the shutdown began. In a video posted on Twitter, Andres said World Central Kitchen would keep handing out free meals through next week so that federal employees have time to get paid. When do the museums and the National Zoo reopen? Smithsonian museums and the National Zoo are expected to reopen Tuesday. The Renwick Gallery is expected to reopen Saturday, Feb. 2. Pending passage of a continuing resolution to fund the government, all Smithsonian museums and the National Zoo will reopen Tuesday, Jan. 29 at their regularly scheduled times. When do the national parks open? The National Park Service issued a statement Friday saying that it is preparing to resume regular operations nationwide. Since the schedule of individual parks vary depending on size and complexity of operation, the park service asked visitors to contact individual parks. What about the State of the Union? The status of the State of the Union address, originally set for Jan. 29, remains uncertain. Earlier this week, Trump sent a letter to House Speaker Nancy Pelosi announcing his intention to go ahead with the speech. But Pelosi quickly quashed the move, saying the House wouldn’t formally invite Trump to deliver the address while the government remained closed. At a news conference Friday afternoon after Trump spoke, Pelosi said a rescheduled date had not yet been set. Federal News Network and The Associated Press contributed to this report.